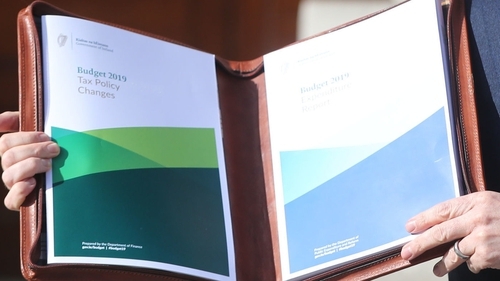 The Taoiseach has strongly defended Budget 2019 following criticism from the Irish Fiscal Advisory Council. Leo Varadkar said just last week the European Commission had found the budget compliant with the Stability and Growth Pact, adding that deficit targets would be met. He acknowledged the criticisms of spending, but said this was done for good reason because of the need for spending in housing and health. The IFAC said Budget 2019 is not prudent economic or budgetary management, and warned that an economic slowdown in the coming years is inevitable. Spending going up faster than revenue means a worsening of the budget situation; the Government will miss budget targets, and there will probably be more unplanned spending increases to come in the new year, the council said. Accusing the Government of repeating the policy mistakes of the past that have led to a boom-bust cycle, it said repeated failures to prevent unbudgeted spending increases - particularly in health - leave the public finances exposed to economic shocks. In spending all available resources now, adding fuel to a booming economy, it said the Government has little room to spend money to boost the economy when it needs it most, which is during a downturn. Minister for Finance Pascal Donohoe also said the commission had found the budget "fully compliant" with the Stability and Growth Pact, whereas before budgets had been found "broadly compliant". Asked about the IFAC report, the Governor of the Central Bank said that if economics were the only consideration, the Government would be better to run a more ambitious surplus target next year. "The typical formula economists would put forward is in good times you run a surplus in order to allow you to run a deficit in a downturn," Philip Lane told journalists in Dublin this afternoon. "So where we are now is where the Government is close to zero, close to balance. If the only factor were economics the economics would say we should be running a surplus coming into 2019. "But of course Ireland is no different to any other country, that's a political choice." Mr Lane added that the bank would not comment on the level of spending adopted by the Government as spending is outside of its mandate. He said the bank's concern is purely about the Government's finances and the amount it spends is really a political decision. The IFAC said the Government has failed to improve the underlying budget position over the past three years, despite very favourable conditions. It dismisses the Government's medium term budget plans as not credible, and warns the country is closer in time to the next recession than it is to the last one. The council - an independent budget monitoring body - said "a prudent fiscal policy would see net policy spending rise in line with sustainable revenues. "But the Budget 2019 plans show a Government spending increase (net of tax measures) of €4.5bn in 2019 compared to what was planned for 2018. "The council assesses that this is not conducive to prudent economic and budgetary management". Describing the extra budgetary increase for 2019 as "substantial", the IFAC said it goes beyond the limit of €3.5bn the council previously advised as being appropriate, based on sustainable growth rates. A key failing the report identifies is the €700 million overspend on health this year, which the Government will cover with a supplementary estimate. This additional spending - unplanned and unbudgeted and described by IFAC as "imprudent" - in 2018 feeds into next year's starting point for the health budget, leading to bigger than planned spending increases. The report stated: "The larger increase mainly reflects the fact that the budget plans for 2019 are built on the imprudent increase in spending in 2018. The overall increases also go beyond the Government's own plans set out prior to the budget. "With the now-higher base for 2018, the underlying increase in total expenditure (net of tax measures) from 2018 to 2019 is currently €1.4bn beyond plans set out in the Stability Programme Update (SPU) 2018. "The Department of Finance’s own estimates set out in the budget suggested that Government plans would breach the fiscal rules for 2018 and 2019." Boom and bust cycle set to repeat itself? In a toughly worded criticism, the report states: "Repeated failures to prevent unbudgeted spending increases within the year have left the public finances more exposed to adverse shocks. These failures also mean that the budget balance remains in deficit rather than in surplus". To show the effect of spending over-runs, the IFAC said that without health overspends (or by using additional revenue measures to pay for them), the public finances would have moved into surplus two years ago. The report states: "Failures to prevent unplanned spending increases have meant long-lasting increases in spending that are difficult to reverse. These increases represent a repeat of the policy mistakes of the past. "Instead, pressures in the health sector and elsewhere should be funded through sustainable tax revenues or decreases in spending categories elsewhere." The report also states that the scale of the spending over-runs has been masked by unexpected surges in corporation tax revenue every year since 2015. This unplanned-for revenue has been spent to cover the spending increases. But the council questions the sustainability of this revenue. Should it start to decrease as a result of a recession or other form of economic shock - such as changes to the international tax environment - the permanent spending increases built on this revenue will weigh heavily on the public finances. This could force the Government into tax increases or spending cuts to compensate - taking money out of the economy at exactly the wrong time. This is why the IFAC describes the budget plan as "not conducive to prudent economic and budgetary management". Looking beyond Budget 2019, the council said the Government’s medium term budget plans are "not credible". Intentions to run surpluses are described as "vague", medium term spending plans are "unrealistic", and previous commitments to outperform the fiscal rules and reduce debt to 55% of GDP have been dropped. While the short term outlook for the Irish economy remains strong, a slowdown in the coming years is inevitable. The council said conditions in the Irish economy can change very quickly- Brexit is still a key risk to the economy in the next few months. The economy has been growing sternly for five years now, driven largely by a cyclical recovery in demand. But the economy appears to be operating close to its potential level, with overheating a possibility in coming years. This is particularly the case if there is a stronger than expected upturn in housing output in the short term.